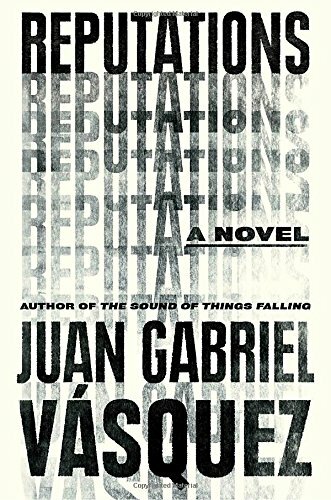 As in Juan Gabriel Vásquez’s previous novels, past events and, more importantly, the memory and interpretation of their significance, filter down over decades to wash through the here and now. As political cartoonist Javier Mallarino is about to receive a national award for his contribution to Colombia’s cultural life over four decades, he sits having his shoes shined in Bogotá ahead of the ceremony, reflecting on his life and career and the influence that his satire and biting comments brought to his country. His cartoons were feared by the political establishment and resulted in legislation being changed in parliament and judicial decisions being overturned. But success has come at a personal cost to Mallarino: threats to his life, separation from his wife, and estrangement from their only daughter. A visit from a younger woman brings back into focus an incident from nearly 30 years earlier during a gathering at his home when the woman was a child and a school friend of Mallarino’s daughter. An uninvited politician, whom Mallarino had satirized in one of his cartoons, arrives and an incident occurs involving him and the young girls. The outplaying of the aftermath, the cartoon which follows, the public humiliation of the politician, his death a few weeks later, and the awe in which Mallarino is subsequently held by his journalistic peers over the power of his pen are fixed points in the cartoonist’s public and private narrative. Then the woman, who says she was the girl who stayed with her daughter on the day of the gathering, arrives, and that narrative is suddenly challenged. The rendering from Spanish into English by translator Anne McLean adds to the quality and depth of this intense and disturbing novel. Reputations is a meditative novel, hooked on the themes of time and memory and driven by Mallarino’s interrogation of those themes as he sifts through his own past. It is also an homage to political cartoonists and their ability to define a moment or mood in a few pen strokes.